We have begun to provide “LOOKREC,” a cloud service that integrally supports radiodiagnosis and pathological diagnosis, for physicians and medical institutions. This service can make small- to large-scale diagnostic imaging systems easier to use. Under the circumstances where there is a shortage of physicians in the medical and medical service community, one of the most serious issues, in particular, is a lack of diagnostic radiologists and pathologists. The use of this service enables patients in areas without diagnostic radiology and pathology specialists to seek the judgment of such specialists. In addition, for instance, we believe that this service can help female physicians balance work with family life, thereby contributing to resolving the uneven distribution of physicians. Characteristically, due to cloud computing, this service can be used immediately even without a large initial investment. Moreover, the adoption of Google Cloud Platform™ offered by Google Inc. as a cloud infrastructure makes the service available both in Japan and abroad. 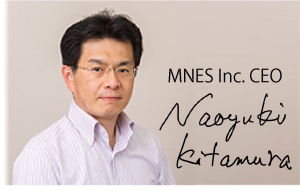 We believe that an approach to data storage and moving images can also easily be realized as a future service extension. 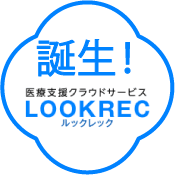 ・“LOOKREC” is a registered trademark of MNES Inc. Cloud computing allows for the immediate use of the service. A diagnostic imaging system can easily be built regardless of scale with no need for a large initial investment. The service can also easily be operated and managed, enabling you to seek diagnostic imaging consultation much more readily. Flexible responses are available both for those who request and those who implement diagnostic imaging. The service allows for requests for diagnostic imaging to a variety of diagnostic radiology and pathology specialists affiliated with us. These specialists are also less restricted by time and place, obtaining greater flexibility. In addition, they can easily supplement each other. Integrating radiodiagnosis with pathological diagnosis, this service realizes rapid and accurate diagnosis. To improve speed and accuracy in diagnosis, a system that integrates radiodiagnosis with pathological diagnosis has been newly developed. Radiodiagnosis and pathological diagnosis can also be implemented individually. Google Cloud Platform™ has been adopted as a system infrastructure in light of availability and extensibility. Superior in search function, processing speed, and security, this system is scheduled to be extended to secure an approach to data storage and moving images in the future. The system is available both in Japan and abroad. “Google” and “Google Cloud Platform” are trademarks or registered trademarks of Google Inc.
Japan is facing a serious imbalance in diagnostic imaging. The number of radiologic imaging devices, including CT and MRI scanners, installed in hospitals is one of the largest in the world, while the number of diagnostic radiologists is one of the lowest in the world. We are in a precarious situation where the capacity of diagnosis cannot keep up with the number of images. One of the factors behind why there is a shortage of diagnostic radiologists is the separation from work of female physicians. Marriage and childrearing force them to live in an environment in which they have difficulty working. However, this cloud-based diagnosis system developed by us enables them to interpret medical images on the system and send diagnostic reports back to us. Our seven female physicians have chosen this working pattern. Moreover, the system makes it unnecessary for physicians who are asked to provide home-based care and who are studying abroad to take leave from work. Pathologists can also enjoy the same benefits. 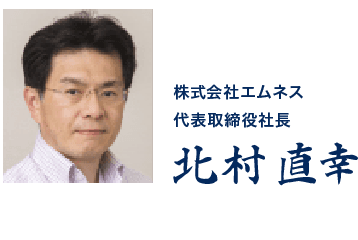 Although there are many areas without any physicians in Hiroshima Prefecture, second only to Hokkaido, this system makes it easy to seek the judgment of diagnostic radiology and pathology specialists even in areas with no such specialists. We firmly believe that this system, which integrates radiodiagnosis with pathological diagnosis and removes restrictions on work location from physicians, will add a new page to medical services.